The real reason for adding the footstools is two-fold. 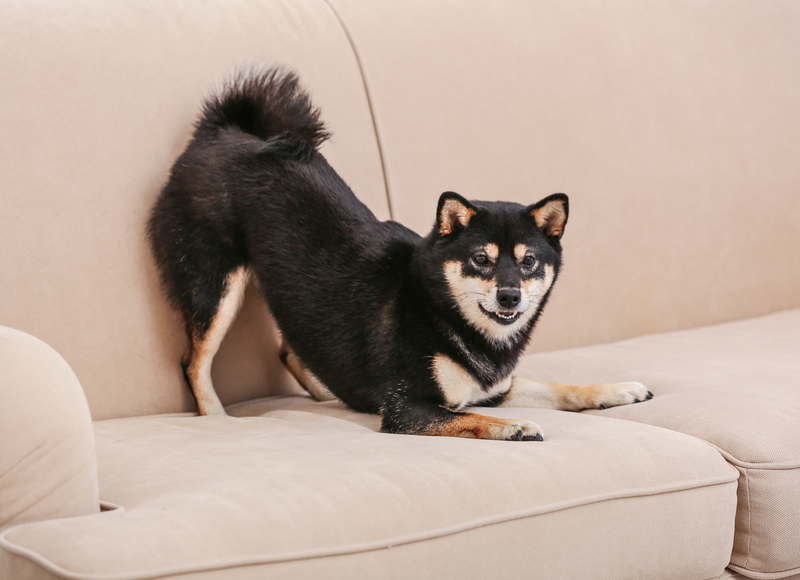 First of all you want to make it a little easier for your Shiba to jump on and off the couch. The second is for competitive reasons. In real agility the Dogwalk has a yellow zone that the dog must touch before going on the contraption. Your yellow zone is a footstool at one end of the couch. So what you’re doing is adding help and realism to the whole thing. He’ll be required to jump on one footstool, pause for a flash, jump on the couch and run to the other side, flash-pause, jump on the other footstool and then finally jump down to successfully complete the obstacle. 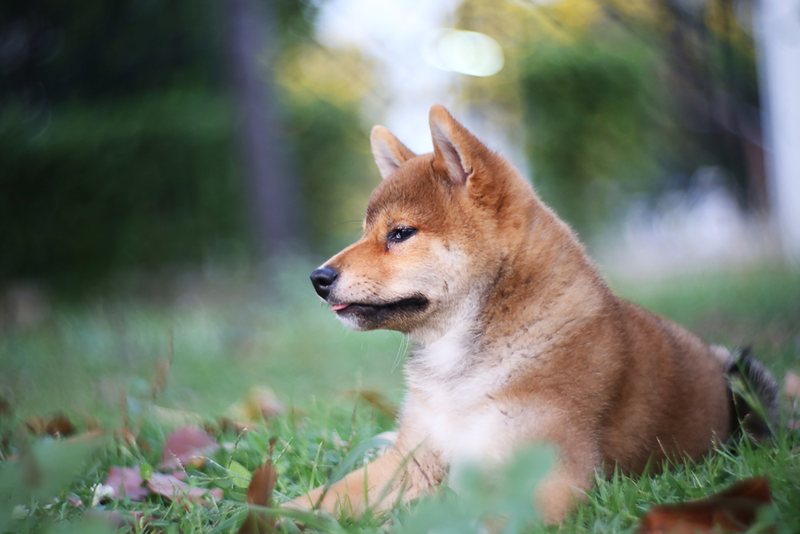 If you’ve had the Shiba Inu for a little while he’s almost guaranteed to have started running across the couch jumping on and off doing laps around the house. So this obstacle will be a breeze. Start with the first part of the course, the first footstool. Use a command like “up stool” and hold a treat on the thing. When he goes up to get it reward him. This will be so easy to teach you won’t even know it. Next teach him “up couch” or something for jumping from the footstool onto the couch. As he jumps on it run with him to the other side of the couch. Since you’re crazy about having your Shiba Inu on your furniture praise him during the whole time.